A Rinkya Blog: Honk! Honk! Car USB Drives! Honk! Honk! 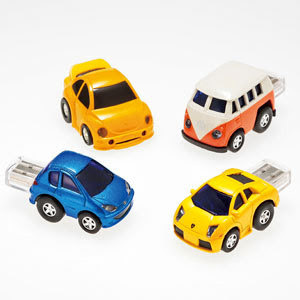 Car USB Drives! I am a huge fan of these adorable USBs!! I particularly love the VolksWagon Bus! But you also get a Peugeot, Lamborghini, or a Beetle! Makes an engine start up noise when you plug it in! Holds 1GB of memory, and Supports the OS Windows98, 98SE, ME, XP, 5800 yen each! A Collection of Wacky USB Drives! Harmless Gun Makes Cleaning Your Keyboard Fun! Endless Beer Can Popping Keychain! Embarrassed of Using A Shoe Horn? X Japan & Hello Kitty! White Day Lush Soaps From Japan! Rinkya Collector's Corner Barbie Part Two! Smelly Co-Worker? Try This Aroma USB!